Another live-action video game adaptation will pulverize Blu-ray this July. In an early announcement to retailers, Well Go USA says they are working on 'The King of Fighters' for a Blu-ray release on July 26. The film stars Sean Faris ('Never Back Down'), Maggie Q ("Nikita"), and the always awesome Ray Park ('Star Wars: Episode I - The Phantom Menace'). 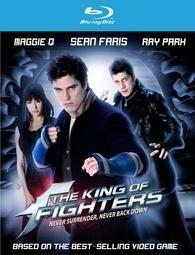 You can find the latest specs for 'The King of Fighters' linked from our Blu-ray Release Schedule, where it is indexed under July 26.